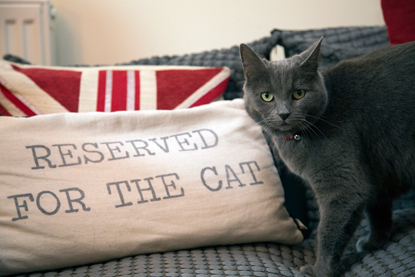 Cats Protection has launched a major new campaign to help more people living in rented housing own a cat. 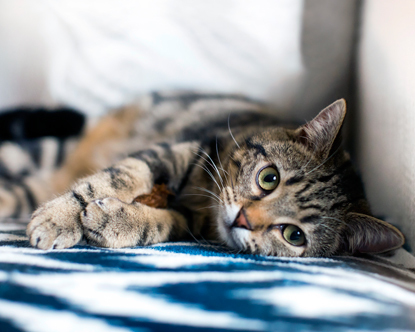 Issues over finding cat-friendly housing have been one of the top five reasons for cats being handed into the charity over the past 12 months with research showing that less than half of private rented housing allows cats. Jacqui Cuff, Cats Protection’s Head of Advocacy & Government Relations, said: “More and more people are renting their homes either by choice or necessity, yet very few rented properties accept cats. This means tenants are missing out on being able to own a cat, while landlords may be losing out on attracting responsible and settled tenants. As well as preventing people from experiencing the joy of owning a cat, this also sometimes results in heartbreak for cat owners who are forced to give up their beloved pet when moving into a new property. 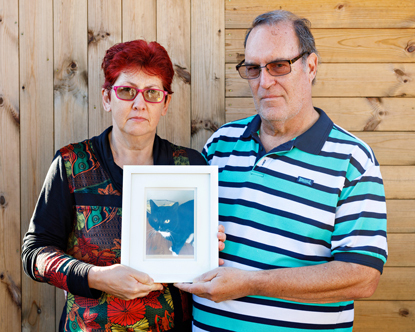 Dilys Barnes, of Gorleston, Norfolk, and her partner Steve were forced to give up their own much-loved pet cat Buster to Cats Protection in June 2018, when their landlord decided to sell their property and they were left unable to find new rented housing which accepted cats. Dilys said: “Every single advert we saw said ‘no pets’ and whenever we enquired, the answer was always no. We were devastated, and the whole thing was very traumatic. We loved him dearly, yet had to give him away, very much against our wishes. Private tenants who are able to own cats benefit immensely. Of those that own a cat, 94% report that their cat has a positive effect on their life such as making them happy, providing company and affection, or improving mental health. Broadcaster, writer and Cats Protection supporter Andrew Collins said: “Cats are more than just much-loved pets, they’re part of the family and the heart of the home. For me, a home without a cat isn’t a home at all! They’ve got an important role to play in the lives of many people – from helping children understand about caring for others to providing a lifeline to pensioners who may otherwise feel isolated and lonely. Jacqui added: “The reality is that cats very rarely cause problems for landlords. In actual fact, many cat owners tell us that having a cat is what makes their house a home and helps them put down roots and value the home they’re living in. Landlords are in it for the money and have this fear of having to clean up after a tenant with a pet has moved out. I bet if you offered them and extra £50 a month, they would change their tune. Some land lords will take a pet but demand a surcharge up front. Is there a PETition to sign?? Thank you for your interest in supporting our campaign. There is no petition but we would really appreciate it if you could spread the word about the campaign to your family and friends who rent and any landlords you know. I have been a tenant myself with cats and thankfully have always found somewhere to accept them. I’ve often ended up paying more as I’ve had to find a house with a garden rather than a flat. Almost all purpose built flats stipulate under the head lease that pets aren’t allowed. I’m now considering buying a property to rent out. I would disagree with the previous comment that landlords are just in it for the money. I don’t own any properties at the moment and live in my partner’s house. As I want to get on the property ladder I need to buy to let. Because of the tax changes I will actually be considerably out of pocket each month. So I’m not in it for the money! I’m in it to get on the property ladder. However if I buy a small house with a garden I will certainly consider tenants with cats. As long as the tenants seem reliable I will be happy with that. But I would take a higher deposit - just in case of any nasty accidents on carpets etc. I think the campaign is a great idea! Great but how can we help? Thank you for your interest in supporting our campaign. We would really appreciate it if you could spread the word about it to your family and friends who rent and any landlords you know. You can direct them to www.cats.org.uk/purrfectlandlords to find lots of useful information.